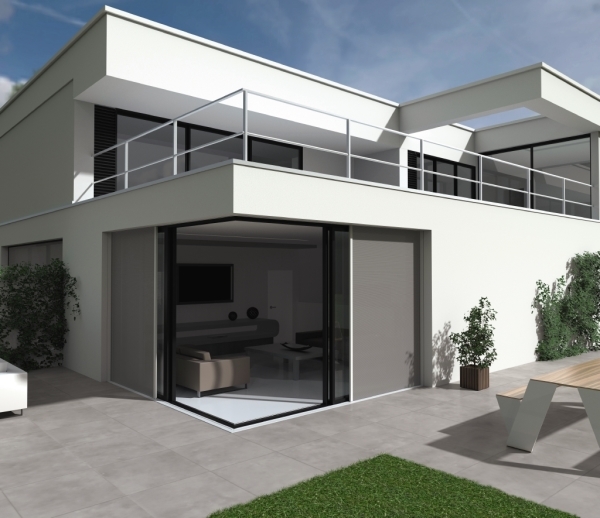 ​​Slidefix provides the ideal solution offering the first lateral sliding sun protection screen. 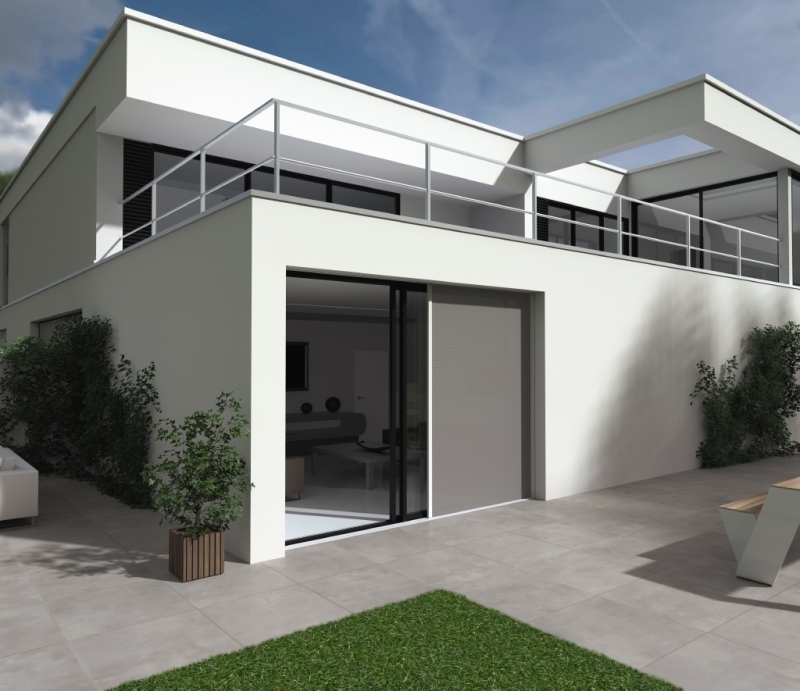 Large panels of glass, sliding doors, and corner windows are popular. This type of sun protection screen slides opens automatically in the same direction as the window. This way, a sliding (corner) window remains perfectly operational for outdoor access, even with sun protection. 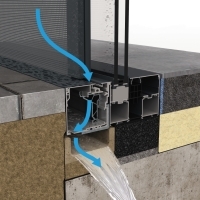 The Slidefix can also be combined with other screens from the our line (see video below). A sliding window allows plenty of natural sunlight into your home and softens the division between the inside and outside. The Slidefix is the perfect solution to protect your home from excessive sunlight. Discreetly integrated into the outside wall. 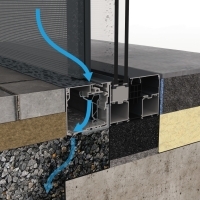 Both the box and the guides used for Slidefix are discretely integrated into the shell of the building. Thanks to RENSON’s ‘Connect&Go’ technology, it remains easy to assemble or disassemble the fabric roller and motor. The lower guide is integrated at floor level, ensuring easy operation. The side bar is hidden within the box once the sun protection screen is fully opened. Easy maintenance and perfect water drainage. The lower guide in the Slidefix is easy to click open to remove any debris, such as leaves or dust. Once it is open, the guide can be cleaned easily using a vacuum cleaner or by rinsing it with water. The lower guide is equipped with an efficient water drainage system that drains water off to a gravel bed, an aqua drain, or a drainpipe. The maximum dimensions for a single Slidefix reach up to 3 metres high and up to 4 metres wide. 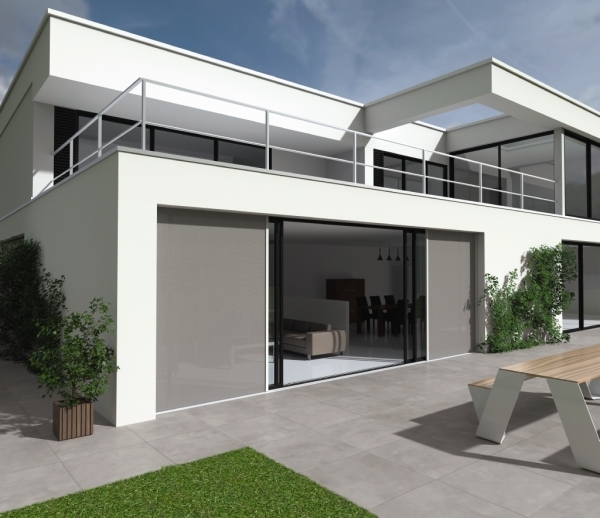 A double configuration may be used for wider sliding windows measuring up to 8 metres. 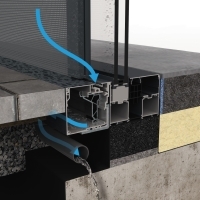 The Slidefix can also be installed in corner configurations and is the ideal sun protection system for (sliding) corner windows. The Slidefix is fitted with polyester fabrics that offer a high sun protection factor. These fabrics are available in various colours.